Ennis Safety, Security & Consulting Group is committed to the reduction of workplace injury and illness. We recognize the benefits of implementing an Occupational Health & Safety Management System that meets an Occupational Health & Safety Standard of Excellence. 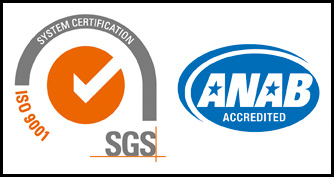 Ennis Safety, Security & Consulting Group has been assessed and Certified as meeting the requirements of the ISO 9001; 2015 System Certification, Accredited.